Nikki Alexander’s love of hot air balloons began in childhood. Her father created a successful hot air balloon ride business before his death, a business Nikki is struggling to keep afloat. Tragedy has left Nikki with overwhelming family responsibilities and important decisions to make. Kyle Morgan left Albuquerque, New Mexico, three years ago believing he would never return. However, guilt and unresolved feelings have brought him home asking for a second chance. As Nikki makes plans for her future, someone lurks in the shadows trying to sabotage her business. Kyle works to regain Nikki’s trust while protecting her and her business. As Nikki offers Kyle her forgiveness, she realizes that she has also given him her heart. LOVE IN THE AIR is a beautiful story of romance, peppered with suspense. I enjoyed the relatable characters, who through faith, hope, and love, overcame the obstacles in their relationship. 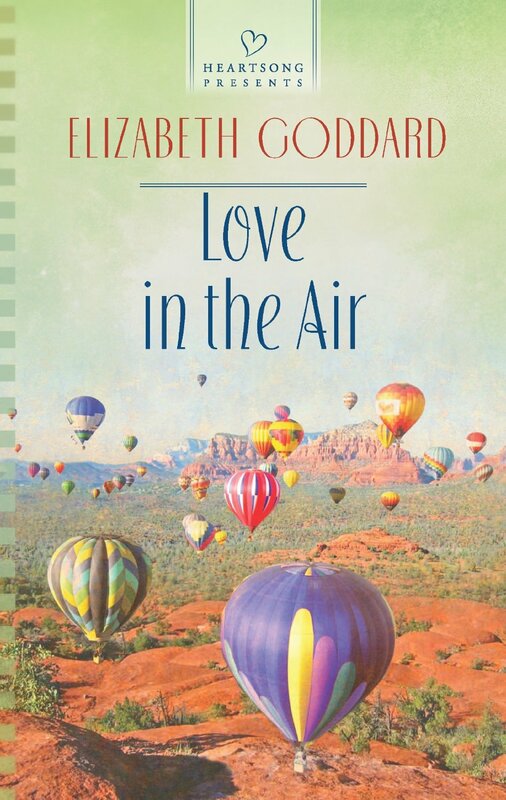 Elizabeth Goddard does a wonderful job describing the sights and sounds from the basket of a hot air balloon. I thoroughly enjoyed this delightful book and look forward to reading more from Elizabeth Goddard! I received a copy of this book from the author in exchange for my honest review, which I have given. Elizabeth Goddard is the Carol Award winning author of over a dozen romance novels. Elizabeth is a member of ACFW, RWA and Faith Hope and Love, the inspirational chapter of RWA. She has served in various capacities for all three organizations, including as board member of her local RWA chapter. Elizabeth graduated with a B.S. degree in computer science and worked in high-level software sales for several years. You can visit her at www.ElizabethGoddard.com. 2) You must leave a comment on this post. 3) You must live within the United States, for shipping purposes. The contest will end Thursday, September 19 at midnight, Central Standard Time. The winner will be announced next Friday, September 20. Good luck!